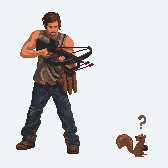 Long time ago I promise to a friend that I will create sprite of Daryl from WD series. That day is now. I still have troubles with clothing. I want to finish this soon so every comment is very appreciated. Needs some bright highlights everywhere; his left forearm and hand are invisible / unreadable (the crossbow should probably cast a shadow on them); and I have no idea what the 3 brown hanging things are or what they hang from. I have no idea what the 3 brown hanging things are or what they hang from. Those are supposed to be dead squirrels that are hanged around his shoulder by some rope, as can be seen in Sidereal post. I really have trouble with this. Here is the new edit. Most squirrels are much brighter than this up close. With a good degree of light frosting on their fur and a bit of orange as well. If you have never looked at one up close: http://blogs.ucollege.edu/tour/files/2011/08/squirrel.jpg This is an eastern gray squirrel but a lot of people where I live call them red squirrels because of that orange. That is a strong reference. In North America, The Walking Dead setting, we mostly have 2 types of dominant species. "Reds" and Grays (common names) Darryl always seems to walk with reds hanging from his side. @Johasu You are right. Do you maybe have an idea how to create "light frosting" on low resolution? Here is an update, I think that now is much better. Made a quick edit before your Ver.2 and never got around to posting. Shirt highlights now has less contrast, pants highlights are now lighter though far from perfect. Added ears to the 'rabbits'(? ), hard to read though. 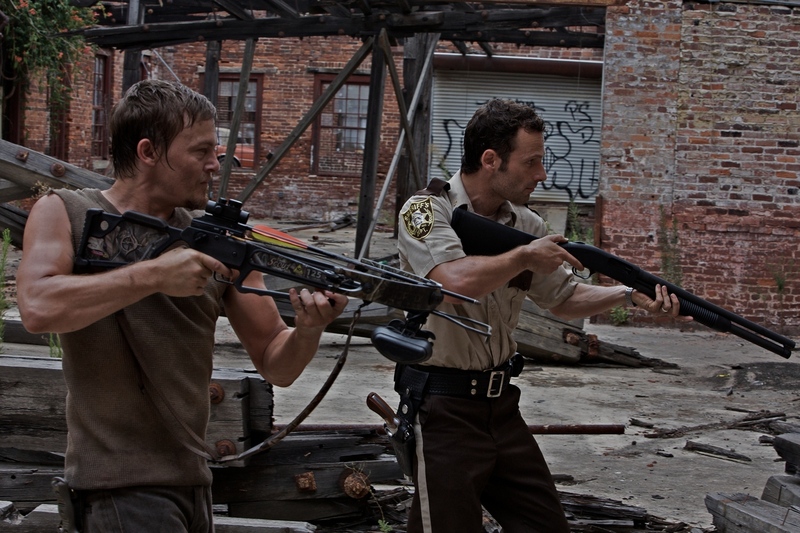 Crossbow cast a shadow on his left arm. Biggest thing though was I made the hair longer. Not sure what season your basing this off but currently his hair is a lot longer then you have it, plus I didn't like his forehead. Though his head may be too tall altogether. Also you had a few stray colors. Didn't check your current version so you might want to. Yeah remember that different materials have different levels of highlight brightness. Cloth like on his shirt would be likely very dull, his hair however, as I imagine he hasnt showered in a while might be greasy and have a sort of strong highlight, but at this resolution that might not work . 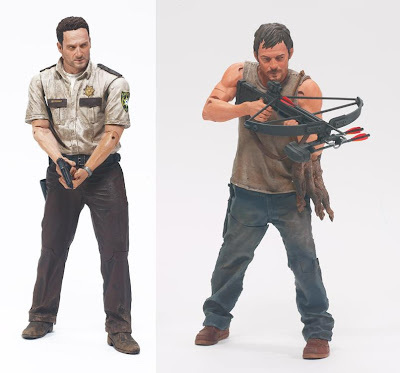 This action figure's arms seem slightly too short, and the crossbow slightly too small compared to other refs. These issues also appear in your piece; it's a small matter of a pixel or 2. Then, the pose of yours is too relaxed compared to the character's general attitude. Even the figure looks more tense, mostly thanks to the head and neck being carried lower into the shoulders. The face and expression (eyes) aren't look-alike; PPD's is closer so far.